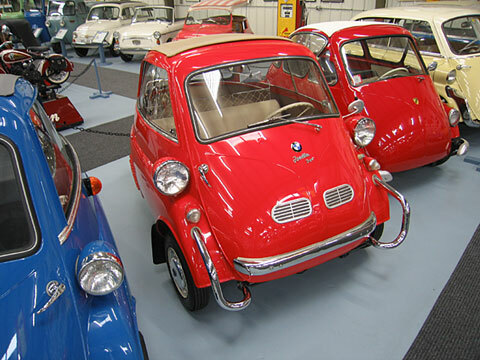 This car was part of the original collection that was dragged from the swamps in Florida, meticulously restored and when the original collection was sold at Christie's Auction House in London in March 1997, it set a record high price for the sale of a BMW Isetta. News of this traveled around the globe and after that the prices of Isettas skyrocketed as suddenly it was "OK" to collect them as they had some "value"! That same Isetta was re-aquired by the Bruce Weiner Microcar Museum. This is the original record-setting Isetta from the 1997 Christies Auction.